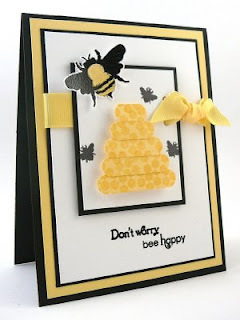 isn't this card stunning, i love the way the paper has been positioned to look like a bee hive so clever and whats more Taylor has given a step by step guide to creating this card for yourself, so to check this card out on Taylors blog click HERE, so much inspiration can be found on this blog. Oh WOW great find Martine this is stunning !! Tu blog es realmente hermoso! He visto trabajos con esta tecnica y quedo maravillada por que creo no solo se trata de pegar papeles y cintas, pasa por el arte y la creatividad y tu tienes mucho de eso!! The cards that are displayed here are wonderful. I enjoy looking at them. Good work. Found this blog just by surfing.